"The only thing that makes one person more attractive to me than another is the quality of their heart." There will be some exciting new opportunities for you as you begin your middle school 2018-2019 journey. As the school counselor, I am committed to implementing a comprehensive school counseling program that is intentional and focused on the developmental needs of RMS students. I am here if you need help with transitioning or navigating through middle school. The following should help you understand more about our school & student expectations. with the support and participation of students, parents, and the community. The vision of Rosewood Middle School is to provide an engaging environment in which students become life-long learners. Everyone learns in different ways and deserves to be provided with a variety of instructional approaches to support their learning. Everyone learns best when they have appropriate opportunities for success. Each person is a valued individual with unique physical, social, emotional and intellectual needs. Commitment is imperative to continuous improvement if our school is going to enable students to become confident, self-directed, life-long learners. I personally believe our students need the opportunity to take ownership for their educational & personal goals with the support and guidance of parents and staff. My goal is to help students by transferring personal responsibility to the student, and helping them learn life lessons through natural consequences. This helps our students become independent and resilient individuals preparing them for life and the future. In middle school we expect the student to be responsible for their school work and personal behavior. We will help them with this transition but we will not take the responsibility away from them. I am looking forward to working with our all students & their families during the 2018-2019 school year. The school counseling theme this year is "Prepare To SOAR" ! Check out my counseling services page for more information about the counseling department. Mission Statement: The mission of the Rosewood Middle School Counseling Department is to provide a comprehensive school counseling program in order to prepare our students to become productive citizens in the 21st century world by developing their academic, personal, social and career development skills. Counselor's Beliefs: The school counselor believes that all children are unique individuals with varied learning styles and come to school with different experiences, perspectives and needs. All children should be approached and treated with dignity and respect at all times. Counselor's Role: The counseling Program at RMS is designed to meet the individual needs of the students, parents and staff. RMS believes that the function of the counseling services is to aid the students in their educational, personal, social and career development. The purpose is to meet the needs of each student, thus enabling them to become successful in the school setting. The overall goal is for our students to become productive and law abiding citizens. Program Elements: The counselor provides confidential, individual and small group counseling services. Classroom guidance sessions are also provided throughout the year on an as needed basis. 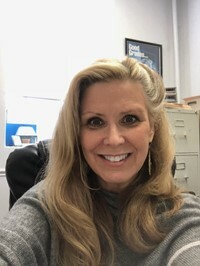 The counselor is involved in coordinating school-wide substance abuse prevention, character education, career development and community service initiatives. Sessions include but are not limited to the following: academic counseling, social skills development, career development, individual goal setting, family issues/concerns, and interpersonal problems. How are referrals made? walk in or self referral, teacher referral, parent referral, administrative referral & counselor selection.